Why Doesn’t Proverbs 31 Just Give Me Eye Liner Tips? “Oh, foolish Galatians! Who has cast an evil spell on you? For the meaning of Jesus Christ’s death was made as clear to you as if you had seen a picture of his death on the cross. Let me ask you this one question: Did you receive the Holy Spirit by obeying the law of Moses? Of course not! You received the Spirit because you believed the message you heard about Christ. How foolish can you be? After starting your Christian lives in the Spirit, why are you now trying to become perfect by your own human effort? Have you suffered so much for nothing? Surely it was not in vain, was it? A vendor of exquisite jewels, well made and beautiful, sits at the door of my church. There are necklaces, bracelets, ear-rings, and hair pieces all adorned with black jewels. They are just my style. I walk over entranced and excited as I look at all of these things that are especially enticing for me. You know that feeling when you walk into a store and you find the exact piece of jewelry, that perfect shirt, those awesome shoes, and it is just what you were looking for? Everything laid out on those tables seemed designed especially for my taste and my wardrobe. 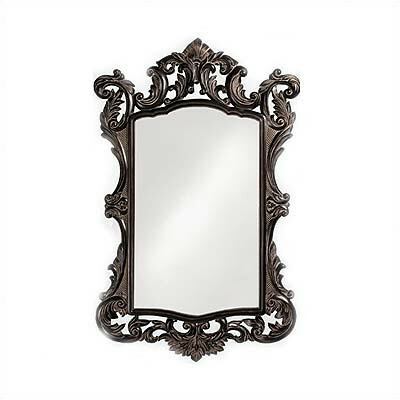 An ornate black mirror sat on the table for the shoppers to admire themselves and their new adornments. As I entered the area I noticed a feeling. A terrible feeling. These beautiful things that seemed to be made just for me, they were not for me, I should not touch them. These things were indeed black, and black beyond their color. I tried to warn my friends, I tried to tell my brothers and sisters in Christ. Some listened and went into the sanctuary without weighing themselves down with these fake jewels, but others stayed and tried on the jewelry and gazed longingly into the mirror in vain. Vain. Vanity. God laid those words on my heart last night. I feel like most of us humans, especially us girls, are constantly trying to improve and update our reflection. We try to become perfect or at least look perfect. Our words, actions, and wardrobe are all carefully weighed and measured. I know that I am guilty. I hate letting the world see me in sweatpants. If I do go out in my comfy, alma mater’s sweatpants it will be offset by a cute top. Even rarer than seeing a Kristin out in the wild in her sweatpants, is spotting the almost extinct Kristin-Without-Eyeliner. You can take away the rest of my makeup, but please leave my onyx black eyeliner! I have realized that it is very hard for me to look at myself in the mirror and think “Wow, I am beautiful.” Unless I have my eye liner applied just right I feel like I look like a zombie. One of my college friends rarely wore eyeliner, or any make up at all really, and I always thought of her as so beautiful and I always wished I could be as confident as her. But when I would looked in the mirror every morning I would see tired eyes and imperfect skin and I would apply my foundation and eye liner to cover it all up. My efforts were in vain, in both senses of the word. I was lead to Galatians 3 this morning and it made sense to me. Not only because God had laid the word “vain” on my heart the night before, but because I am struggling in this transitional period I am experiencing spiritually. I grew up in this Christianity formed in this pretty white box. It was a safe box, filled with WWJD bracelets, teen devotionals, lock-ins, Christian music, and no clapping in Church. It was a Christianity that expected you to sit up straight, act all nice and normal, and whatever you do, do not express any spontaneous joy during the service. It was a nice Christianity. It was a great place to grow up. It was a wonderful place for me to start my journey, but I am moving forward now, and struggling with that forwardness. Behind me lies a world that I had nearly conquered, I was capable of appearing nearly perfect. I could perform the niceties and give my Sunday school answer to applause. But if I go back now, all would be lost. Anytime a Christian moves closer to God, when they journey down the path of righteousness, they will meet trials and they will be under attack. It would be much easier to turn back. But if I, if we, turn back now, now that we have suffered for good and for His glory, it would all be in vain. Our journey would be empty. If I turned back now, it would show my conceit. Behind me is someone who could fake a bit of perfection, but going forward I have to leave that behind. There may be some mornings that I must face myself in the mirror without my eye liner. I must look at the true me, the bare me, and I must love myself. We must continue forward past the tempting jewels that this world has set before us and into the loving embrace of our Creator.